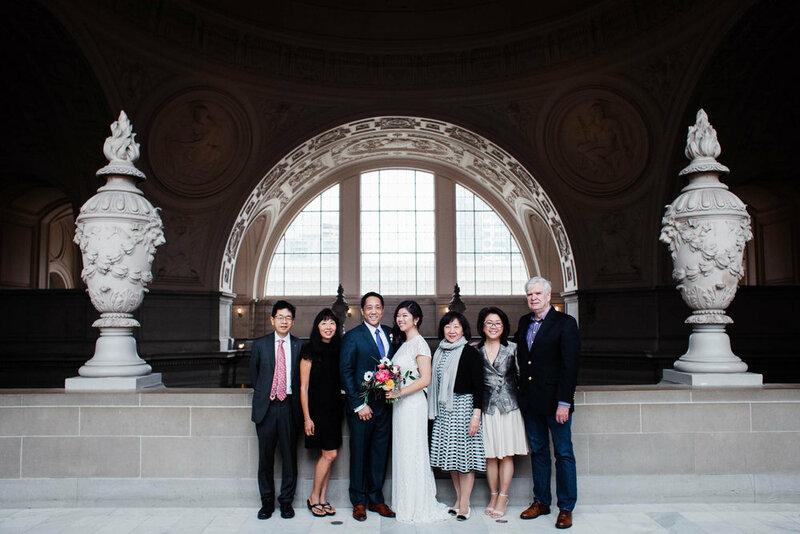 David and Madeline wanted to include and honor their family, friends, and community as part of their wedding, and bring a sense of closeness to the ceremony. 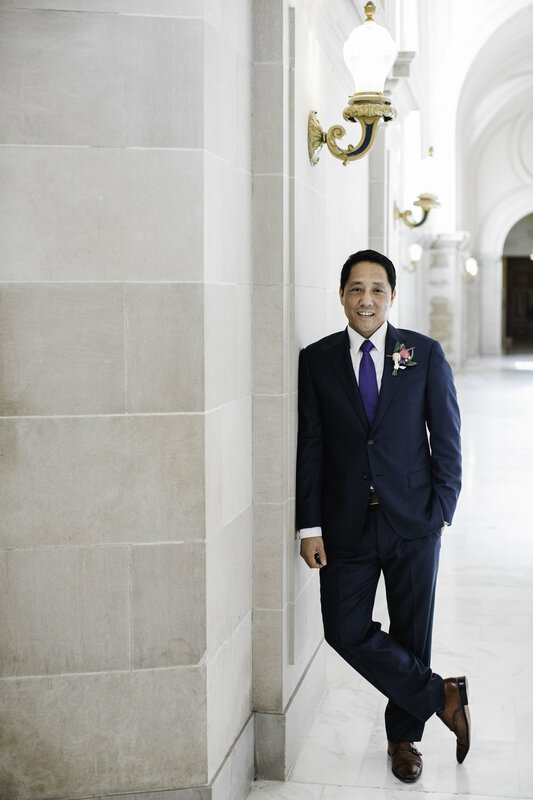 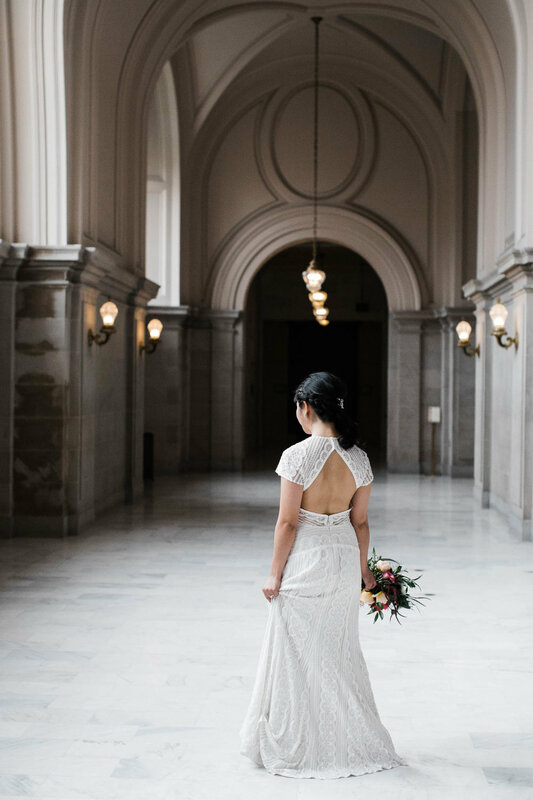 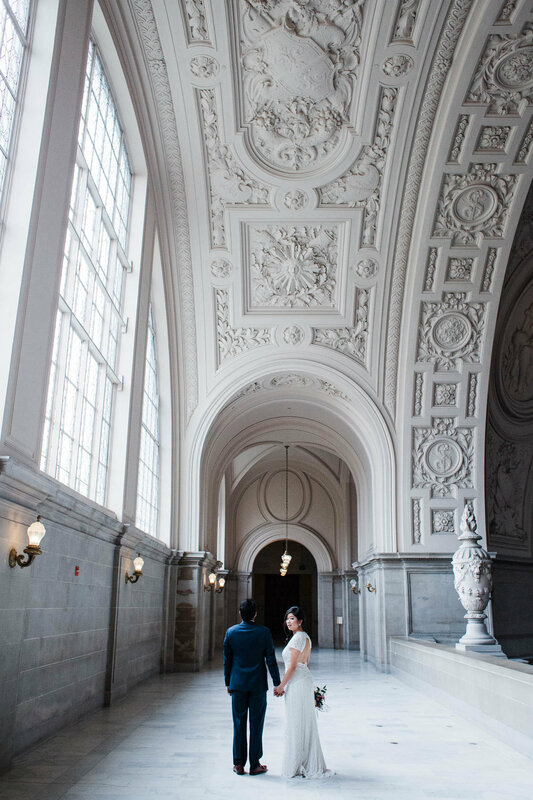 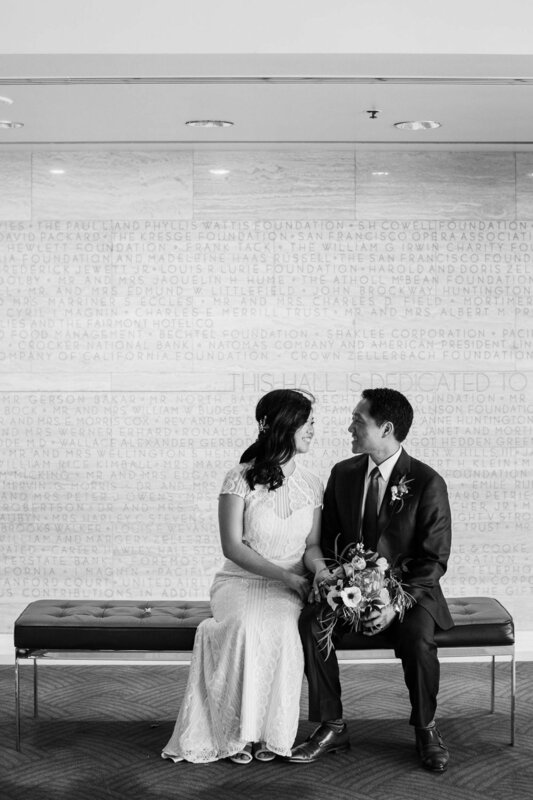 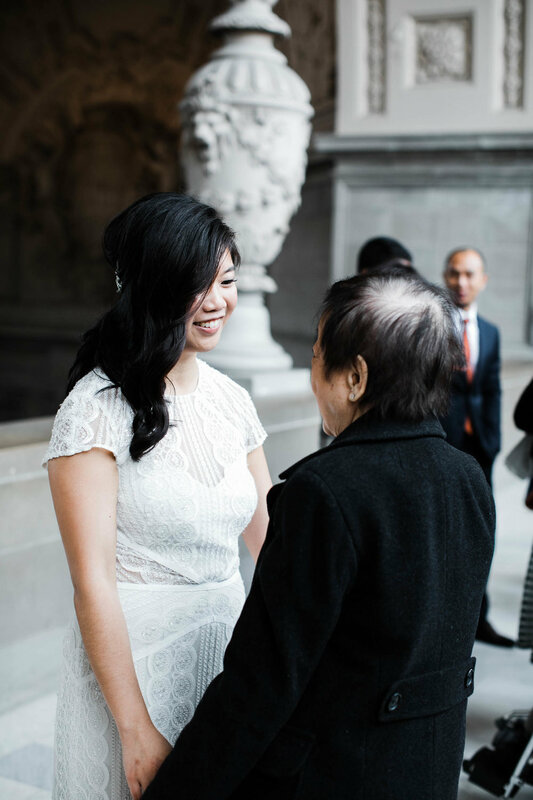 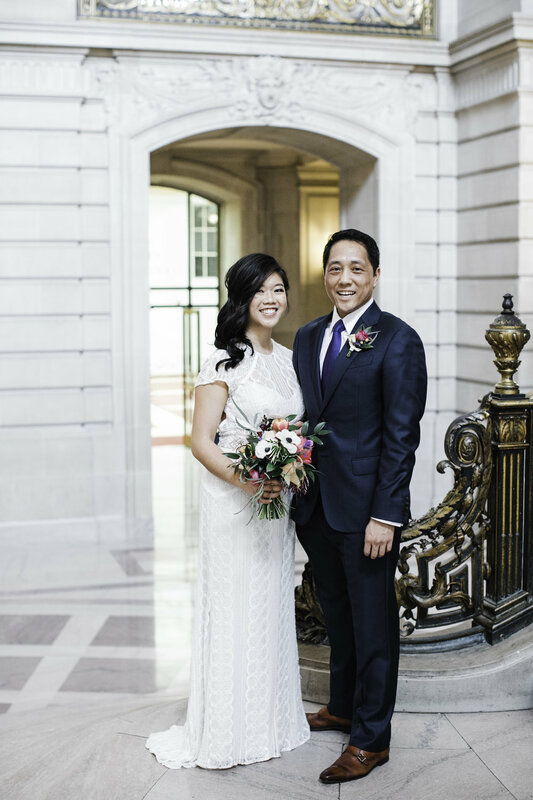 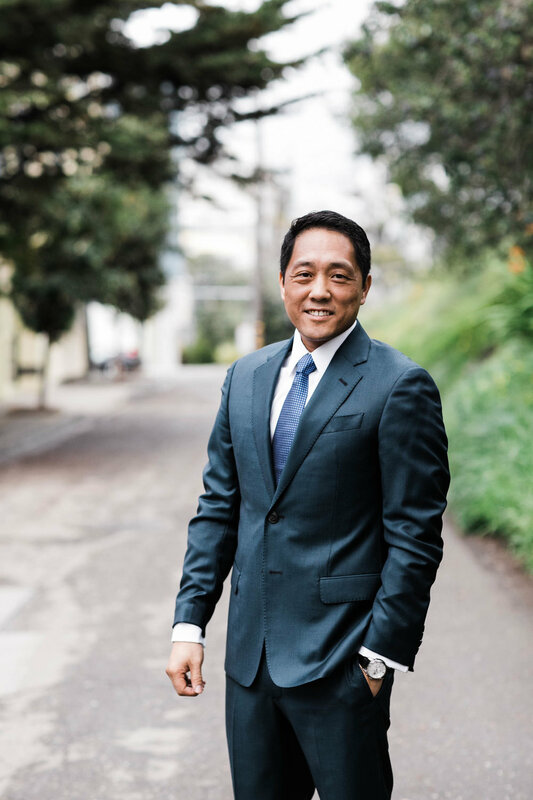 They decided on a three-part wedding celebration, spread over several months: an intimate City Hall ceremony, a weekend away with close friends, and a traditional Chinese banquet. 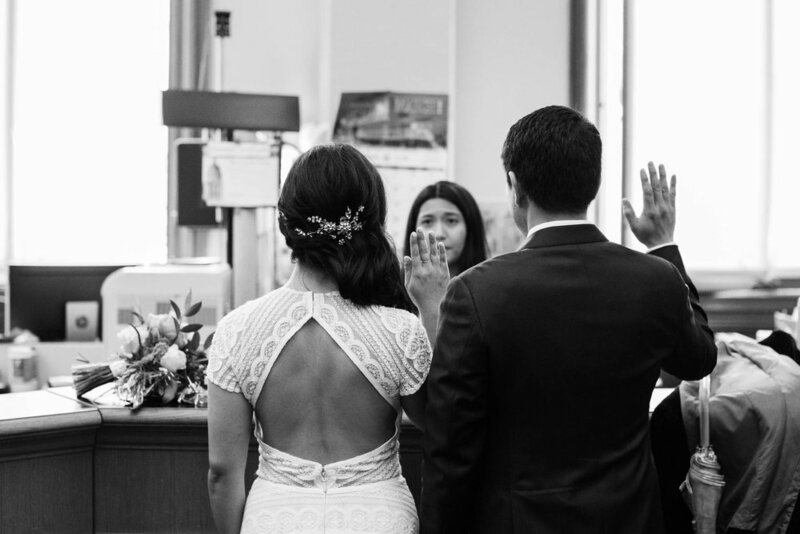 They were very clear on part one: Today would be an close-knit ceremony for family—the people who helped shape them individually and would always support their partnership. 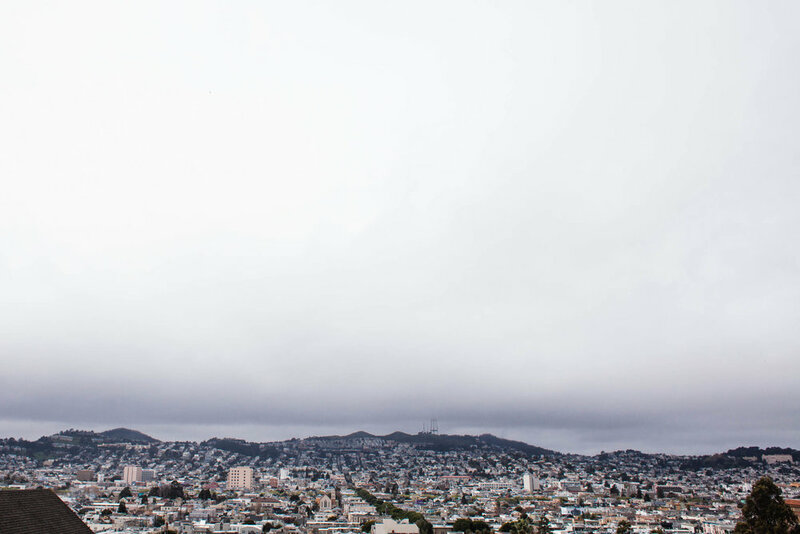 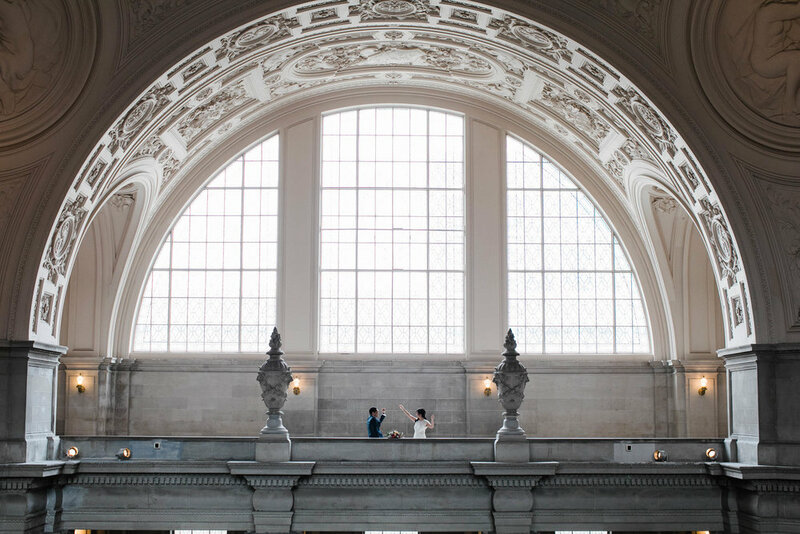 After spending a quiet morning together getting ready, and overlooking a foggy cityscape, they met their 13 loved ones in the North Gallery at City Hall to share their personal vows and bless the rings (which they made themselves!). 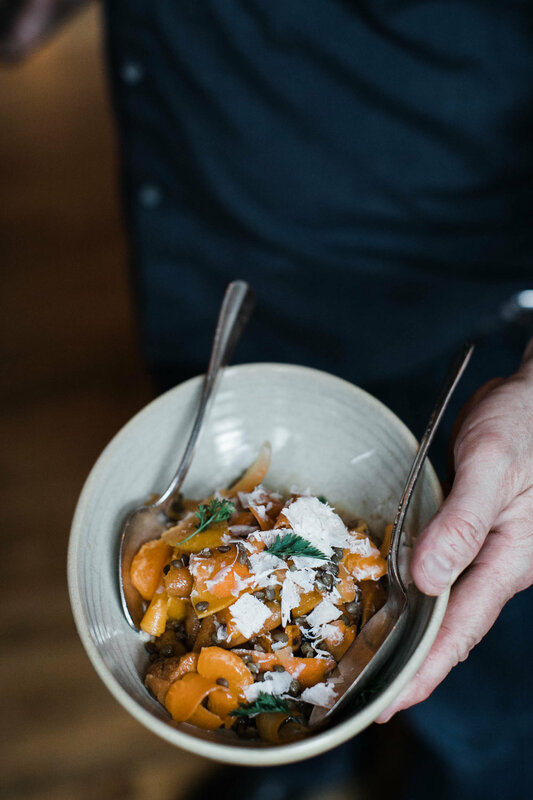 For dinner, the couple arranged the private tasting kitchen upstairs at flour+water. 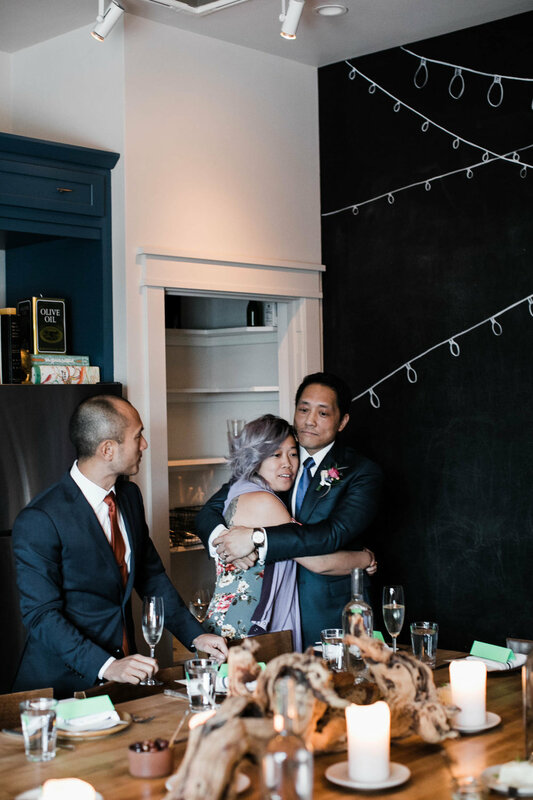 Food and wine and Wednesday night date nights are significant features of their relationship, and a private pasta-filled Wednesday night with their dearest seemed a fitting kick off to their marriage!